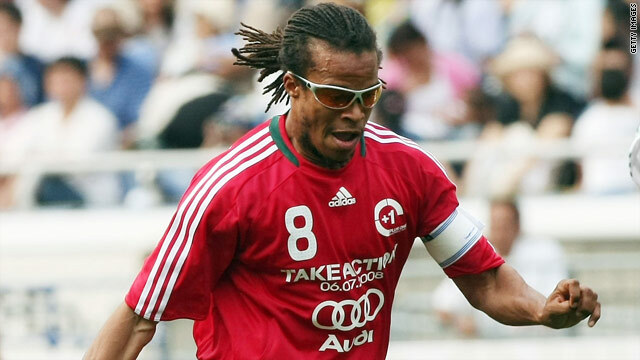 Edgar Davids has focused on personal projects and ambassadorial roles since leaving Ajax in 2008. London, England (CNN) -- Dutch soccer legend Edgar Davids is confident that South Africa can make a good job of hosting the World Cup, and that the Rainbow nation will benefit from the continent's first staging of football's showpiece tournament. The 37-year-old, who won 74 caps in an 11-year international career, was named in FIFA's team of the tournament after helping the Netherlands finish fourth in France in 1998. He has not played at the top level since his contract with Dutch club Ajax finished in 2008, since when he has focused on personal projects and ambassadorial roles, and played in Zinedine Zidane's Haiti charity match in January. 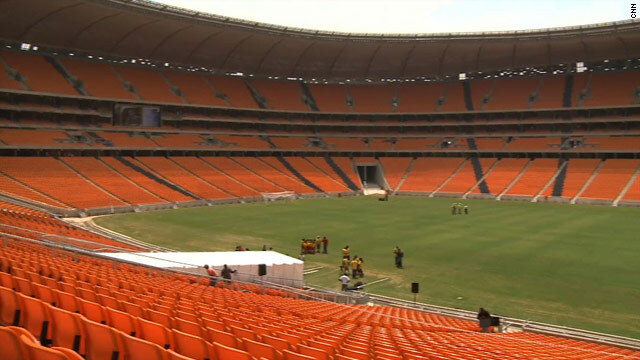 Davids told CNN that he visited South Africa last year and was impressed by the set-up. "I think they will get a lot out of it because you get a lot of media attention and also a financial injection, of course," he said. "They can show the world how warm the African population is. I was there three months ago and I was very surprised about how everything is going. I felt very welcome." Can an African team win the World Cup? Born in the small South American country of Suriname, Davids was dubbed "The Pitbull" in his early years at Ajax by coach Louis Van Gaal, and his Juventus boss Marcelo Lippi called the midfielder "my one-man engine room." Davids believes African teams can shine at the World Cup, especially now many of their stars have adapted to the European style of play. "There's always an African team that will be a dangerous outsider because, at the end of the day, a lot of African players now play abroad," he said. "They have adapted to the European style that was always lacking in the African culture. I think they can adapt a bit and maybe have a run from the outside for a chance at the title." Since leaving Ajax, Davids has concentrated on his Street Soccer projects, which include his own video game and clothing brand, and he turned down a chance to join English second division club Leicester last October. South Africa's football fanbase has long resided in its poor black population, and Davids believes nurturing the grassroots level is vital. "It has a social purpose where we go to the bad neighborhoods and help them in a way to really lift up a community," he said of Street Soccer. "I was so involved with that that I left my football aspirations aside, and I only want to return if there's something really really good for me to let this go. I was very fortunate to have a career like this, I wanted to put a lot back for the community. "Almost every football player played on the streets. And also a lot of people, not ending up as football players, play on the streets. It's the beginning of a lot of social gathering. And nowadays kids, with the media of mobile phones, computer games, television, they stay in the house instead of moving and just enjoying themselves. Also the social context is very important nowadays. "Through soccer, you see also with the World Cup -- it attracts so much more, it's binding a lot of things. It's the same thing that happens with Street Soccer, there's so many things around it. "We get approached by a lot of schools to work together with them and develop a program where we can help younger guys who drop out of school to stay in school and then say they can work in our projects." At the World Cup, which kicks off on June 11, Davids has high hopes for the Netherlands, who face Denmark, Japan, Cameroon in Group E in South Africa. "I think they will go through to the finals. If they play as a team, they will definitely go to the finals," he said. "If you look at the players individually, we have very good players. The thing is being a team. They already have the experience of the last two big tournaments, I expect them to harvest now what they did in the past."